Who doesn’t love the comfort and versatility of a maxi skirt? Whether you’re attending a festive Sunday brunch with friends or an evening networking event with colleagues, a maxi skirt will take you wherever you need to go in comfort and style. 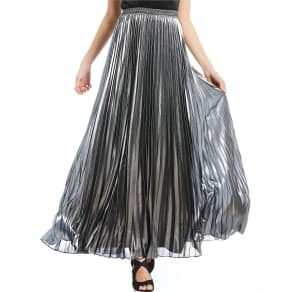 At Westfield, you’ll find a wide selection of maxi skirts, in every fabric, color, and style. 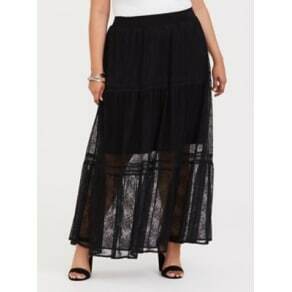 The best thing about a maxi skirt is that you can change your look by pairing it with different shoes and tops. Tuck in a body suit and slip into a pair of ballet flats for a more casual look. Add a belt and some sleek knee-high riding boots for a polished, yet relaxed look at the office. Discover a variety of maxi skirts in every color, pattern, fabric, and style. From cotton to rayon and linen, and flowy to straight, we’ve got you covered from waist to toe in our maxi skirts!